In preparation for the exhibition The Hero’s Journey: Selections from the Permanent Collection, the Beach Museum sent three prints to a studio in Kansas City for conservation assessment and treatment. 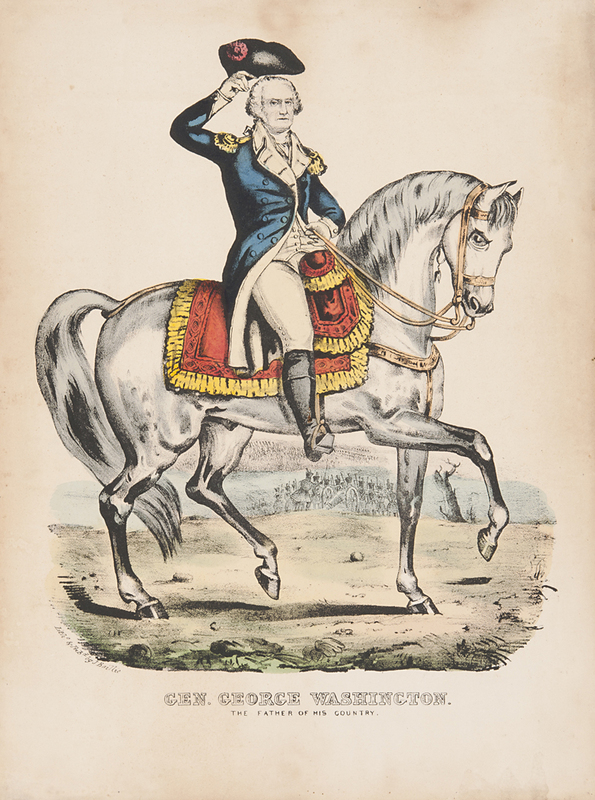 We sent one of our two impressions of John Steuart Curry’s John Brown (2003.223), Gen. George Washington, The Father of His Country (1997.50) by James S. Baillie, and Cinderella (1966.3) by Jules Pascin. It is important to ensure prints are in good condition before they are hung for exhibition for the prints own safety and to give the viewer the best experience possible. As paper ages, the acids in it cause it to brown when exposed to light over time, which is called light staining. As the paper darkens the ink remains the same which causes the contrast originally created by the artist to lessen. This makes the print dull and less striking to museum visitors. Paper can also be burnt by acidic mat board and adhesives, become soiled from dirt in the air, stained by water or other liquids, and have mold or mildew growing on the paper. Our three prints were darkened slightly by light exposure over many years though they had other concerns as well. 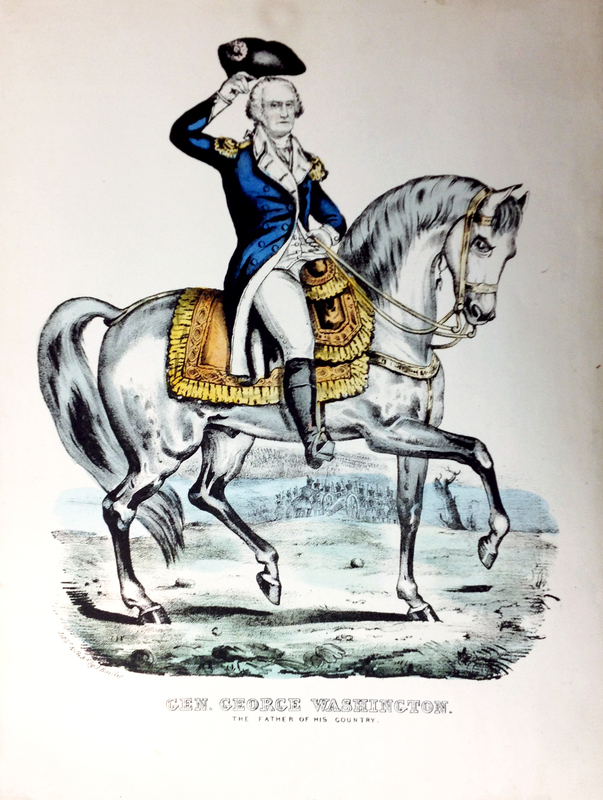 George Washington had stains from dirty water and as a side effect of the moisture the print had mold growth, which looked like little brown dots all over the paper. The conservator ensured the mold growth would not spread and whitened the paper. Similarly the John Brown was whitened and spot treatments were done to remove adhesive residue and reduce the discoloration left behind from tape stuck to the paper. The Cinderella was a bit of a different case. It was slightly light stained, but the much larger issue with this print was the way it was matted. Today museums hinge the work into archival mats using Japanese paper and wheat paste to bring as little acid as possible in contact with the paper. While all mats consist of a front window mat and a backing mat, this print was sandwiched between the two mats that were then glued together, locking the print between them. The conservator gently dissolved the adhesive to free the print from the two mats. Once free, the museum could then mat it properly, but the glue left behind stains on the paper that cannot be fully removed. Now back at the museum, all of these prints will be matted and framed for exhibition by the museum’s Exhibitions team. As a result of the whitening treatment, the prints have higher contrast and in the case of the George Washington, vivid colors. They will also be better able to withstand the climate and light conditions inside the gallery. When they come down from exhibition they will be unframed and remain inside their mats in archival storage boxes away from the light. Conservation treatments are a crucial part of a museum taking proper care of their collections. This post was written by the Beach Museum of Art’s Assistant Registrar Theresa Ketterer.